And just like that, a new year has come upon us. 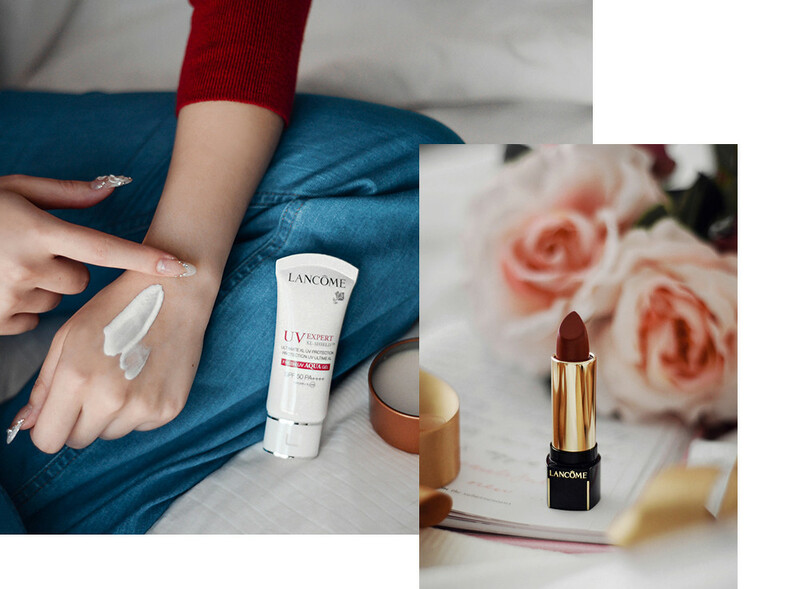 Out with the old and in with the red, and today more than ever, I find it fitting to talk about an optimistic mission that is this: every woman who comes to Lancôme to be more beautiful, always leave happier. 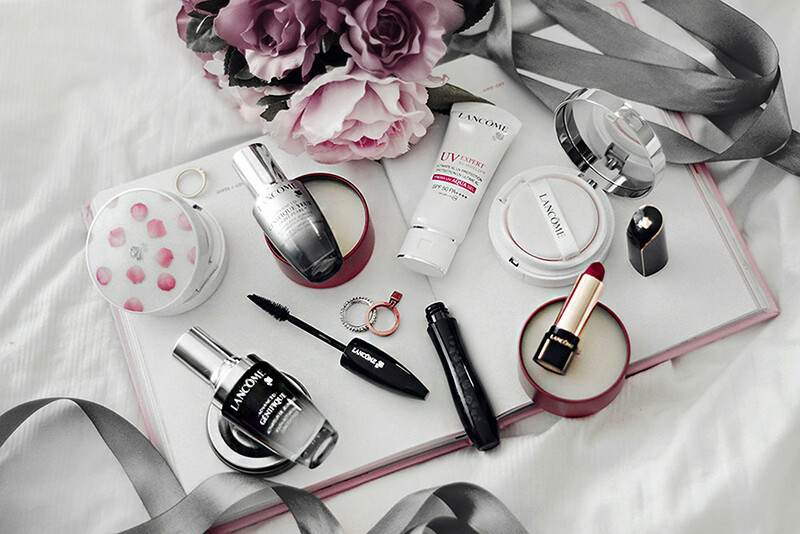 Naturally, at the very heart of Lancôme’s DNA lies ultra-femininity, emotion, joie-de-vivre, happiness and beauty. 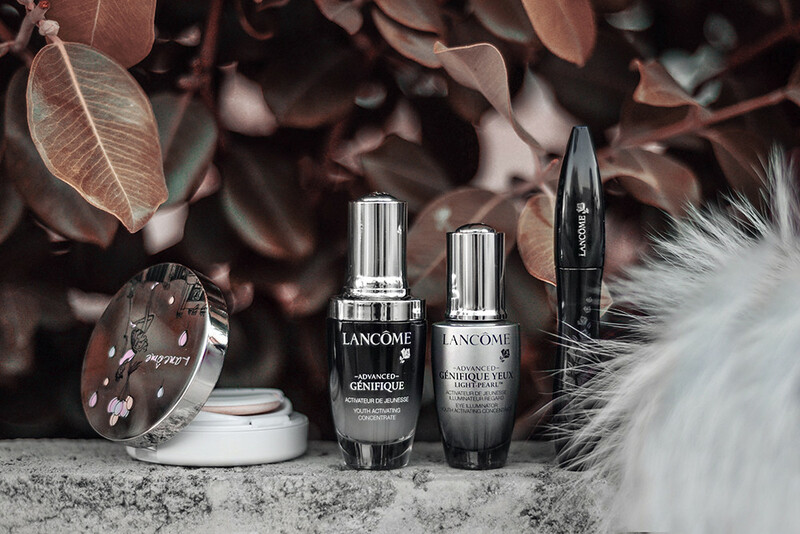 It’s truly hard to fault a spirit that asserts itself through the most beautiful purpose, and what better way to usher in the New Year than with the Best of Lancôme range? I’m no complexion makeup scientist, but I can tell when one surpasses all expectations to become a must-have. In this case, it only takes 10 seconds to perfection. Fresh and light as a fluid, portable and practical as a compact, unifying and blurring as a BB cream, Blanc Expert Cushion freshens, evens and protects the complexion from UV, leaving skin aglow with a velvety-soft radiance. When you take a closer look, the miracle of technology comes into play. Lancôme employs the power of light, enriching the Cushion formula with pine extract – known for its depigmenting properties, so your complexion is left radiant and illuminated with transparent perfection. What’s also nifty to note is that the Cushion is ideal for reducing pores and surface imperfections, leaving skin texture visibly more even. Finally for photo-protection, the Cushion is infused with SPF 23/PA++ to shield complexion from UVA and UVB, to prevent formation of age spots. And here above I’m using their Limited Edition Cushion Case in Petal print, but their Spring 2016 one is just as adorable! And who could forget Lancôme’s outstanding range of lipsticks that capture the quintessence of femininity through vibrant colours in perfect definition? Because intense colour has to be flawless, L’Absolu Rouge Définition fulfils the feat of combining colour, precision and comfort for instantly and lastingly beautified lips. My favourite shade of Lancôme red is none other than Le Carmin. This pigment represents the legendary ideal feminine, and is undoubtedly the most smoldering and provocative of the L’Absolu Rouge Définition range. High up on our leaderboard is Lancôme’s best-selling Advanced Génifique Youth Activating Concentrate – a serum that repairs and activates 10 key signs of youth, including skin texture, resiliency, elasticity, firmness, sagginess, fine lines, wrinkles, radiance, clarity, and skin tone. Its fresh, oil-free and lightweight texture quickly absorbs into skin without leaving residue. What you’ll notice is that your skin will feel more refreshed, revitalized, and also look visibly healthier. Advanced Génifique is the first step to any beauty routine, for every age, every skin type, and multiple ethnicities. Mix a drop into your foundation to give a great glow to the skin, or put a small drop onto dry lips before applying lip liner and lipstick to smooth the lines on the lips. Meanwhile, Lancôme’s Advanced Génifique Yeux Light Pearl makes skin around the eye contour appear firmer and more rested. I like that it’s engineered with a flexible massage applicator, as it helps reach the entire area around the eye with a highly-effective formula. I actually love sunscreen and cannot express the importance of having sun protection on your face. Lancôme‘s UV Expert consistency is light and easy to apply, and in no way feels greasy at all. SPF 50 is great protection and I will slap this on regardless of whether I’m indoors or outdoors. My mascara go-to is no stranger to every makeup maven’s essentials list and is also Lancôme‘s most flirtatious lash look. I’ve been a fan for a few years now, and I can safely say that it leaves your lashes voluminous, extended and full fringed for a wide-eye look. Definitely give it a go if you haven’t already! Back to my new found love of a compact, Lancôme’s Cushion is a godsend. I adore that it adapts to every woman, every skin tone and every desire – it works just as well as a primer, BB or CC cream, and as foundation. Best part? 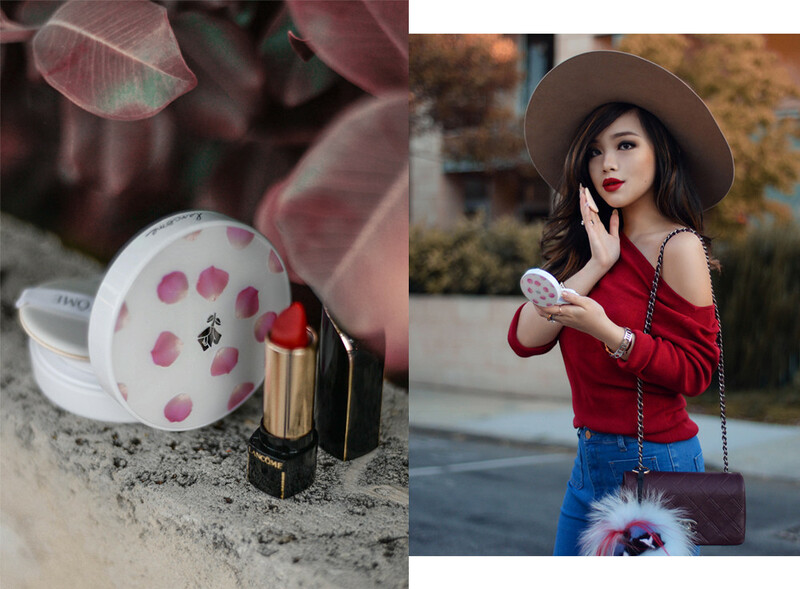 The coverage is build-able while leaving skin breathable.If you’re as into the Cushion Limited Edition Cases as I am, simply purchase 2 refills in any Lancôme Singapore store to receive them with compliments – or you may also reserve here! And here’s a treat for y’all: visit any Lancôme Singapore store to experience the Best of Lancôme service starting with a 2 min-aura skincare service awakening your skin with Génifique Serum and Light Pearl. Next, create your perfect complexion using your choice of foundation and enhance the look with a bold lip using the L’absolu Rouge Definition Lipstick. Finally, finish off with a spritz of Lancôme Miracle Fragrance and walk away with a Personalised Sample Kit. Easy. It’s a fresh new year, so remember to reveal a fresh new you!